I couldn't put this book down. From the first few whispers of Linger to those last harried moments, I was bewitched by the aura Stiefvater re-created with this stunning sequel to Shiver. Nearly everything about it is perfect - the tortured depths of Cole St. Clair, the inescapable guilt of Isabel Culpeper, the creeping disbelief of Sam Roth, and the gentle degeneration of Grace Brisbane. For me, Shiver works perfectly as a stand-alone, but Linger provides a new side of this world, one far more dark and gripping. Stiefvater wastes no time in quickly getting to the heart of this story – Cole St. Clair. Cole is one of Beck’s new wolves, a human who chose to become a wolf. For Sam, who has fought so hard to maintain his humanity, Cole’s decision is unfathomable. Introducing the perspectives of Isabel and Cole, however, Stiefvater quickly enables us to see a completely different side of this previously simple love story. Not every wolf wants to be human. And not every human wants to stay human. With Shiver itself, Stiefvater managed to imbed dozens of moments of intense depth, giving us a peek into the true differences between man and beast. Now, however, with Cole, she truly goes into the tortured depths of the human mind, of what makes humans seek oblivion. And Cole is no ordinary human being. No, Cole is a rock star. A Harry Styles, if you will, with throngs of fangirls dying for a glimpse of him and his live music. Nevertheless, despite all that his life holds, Cole has lost hold of who he is and prays for the oblivion to become something entirely. Isabel, who has recently lost her brother and suffers from the guilt of killing him herself, holds no sympathy for Cole. And yet, this is where Stiefvater’s genius comes into play. Both Cole and Isabel are so tortured and alone, confused about their role in the universe, but Stiefvater writes them in such a way that we only feel their pain, but never judge their actions. I love that she is able to tap into the dark corners of humanity and pull out what really matters – not the reasons behind the darkness, but rather its very presence itself. In my eyes, Cole undergoes the greatest transformation in this book. From the beginning to the end, every conversation, every thought, every action slowly, but surely, changes him. Not to be left out, though, Grace and Sam are still very much the forefront of this series. What I particularly love about their relationship is the muted, quiet parts; the moments when these two simply revel in each other and the simple happiness they find by being in the same room. Sam continues to struggle with the fact that he is human now, perhaps forever, and with that thought comes the scary responsibility of future. Grace, on the other hand, must come to accept that her world is no longer the same, despite Sam’s presence in it, and both her health and relationship with her parents takes a turn for the worse. One of the favorite aspects of this entire story was the conflict between Grace and her parents. Quite simply put, I got it. I think many teens can relate to the feeling when parents suddenly put down their foot about certain important issues in their lives. Grace’s parents do not understand the serious nature of her relationship with Sam, just as many parents fail to comprehend how their children could want to explore career paths different from their own, etc. And the fact that Grace feels so betrayed, that she feels as if her parents, despite clothing her and providing for her, have no right to truly tell her what to do? It’s written so poignantly. Stiefvater truly nailed this complex relationship on the head and I love that these formerly absentee parents make a very realistic and expected comeback. Nevertheless, while I loved this novel, I must admit that I missed the ever-present romance of Grace and Sam from Shiver. I found that the four perspectives in this story worked perfectly, but they also took away from the love story. I once found it cloying, but in this novel, with so much conflict present, I ached for just a few of those moments. Linger is a much heavier, sadder type of novel, which doesn’t necessarily make for a good re-read. Yet, as an unexpected sequel to a perfect stand-alone, it goes to show that the story in Shiver is far from complete, that the world-building and lore is far from simple, and that this love story is far from easy. 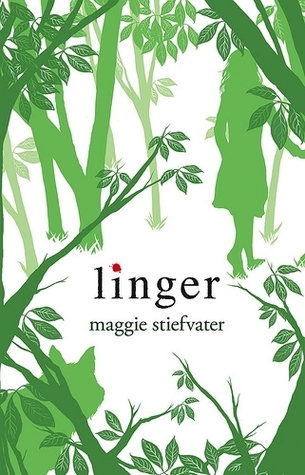 Linger may not be my favorite of this trilogy, but it is a gripping, heart-felt, and essential component to the trilogy as a whole. I have to agree with you on absolutely everything! I missed the strong focus on Sam & GRace in Linger, but the intensity of the novel is still astonishing. And now that she's announced a fourth book, Isabel and Cole's story, my little heart might just explode from all this happiness. If it were someone else, I'd be skeptical, but Maggie can pull it off no problem. I really liked Shiver as a stand alone, and actually gave up on Linger pretty quickly. Maybe it was just too soon for me and the detraction from the romance made for such a different feel that it didn't feel right to me? I feel as if I'm continually hearing great things about Cole, but it was his initial chapters that turned me off. Maybe I ought to try it in print at some point (I was listening to the audio). Cole, Cole, Cole. Cole made this book for me. I fell for him hook, line and sinker. Gosh i can't wait to read he and Isabel's book next year!! I'm sorry that there isn't as much romance as the first. I enjoyed that. However, I love the sound of personal growth in this one. I have it on my tbr and I really need to get to it! Even though I like Cole just fine, I was SO frustrated with the way he and Isabel detracted from Sam and Grace's story. I am curious about SINNER, but am going into it with zero expectations--maybe I'll like that better. I haven't read any of Stiefvater's other works minus The Raven Boys and TDT which I've read partially. I'm actually not sure if I would pick up this book after the disappointment of TDT. I have to ask though in comparison to the first and last book of this trilogy does it suffer from middle book syndrome? Your review was beautiful Keertana! I like how you talked about the relationships both as a romance and the paternal one. I feel like Stiefvater's writing makes you truly understand the complexities of any type of relationship. I'll read the rest of The Raven Cycle of course, but I'm still hesitant to pick up anything else by her although I've heard excellent things about The Scorpio Races. The family aspect of this one is particularly intriguing Keertana, I love that Grace's family is actively involved with her life even if they don't understand the seriousness of her relationship with Sam. I'm hoping to give this series another try in the future since I never made it past book one. I just so love Maggie's other books, so I think this series deserves a second chance for sure. Beautiful review!! Another amazing review from you that reminds me again how brilliant a write Maggie Stiefvater is. I especially love when you talk about the ways in which this book makes the entire series much more complex - just with the addition of Cole St. Clair. A guy who WANTS to be a wolf. Now I'm thinking about his novel and getting shivery excited...but I digress. I continue to be a Sam/Grace fangirl and I agree that this one lacked a bit of them, but we get more in the next. Plus I'm glad their relationship never becomes angsty. Anyway, I need to reread these books. I love them so. Did you know that you can create short urls with AdFly and get cash from every click on your short links.